Whether you own a garage gym, a CrossFit box, or a martial-arts studio, Two-Brain Business can help you get running, get organized, get members, keep people happier, and make more time for yourself. 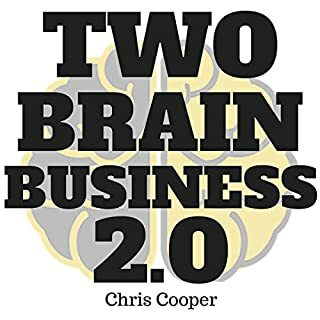 Chris Cooper of TwoBrainBusiness.com shows you how! Good content that desperately needs a good editor. 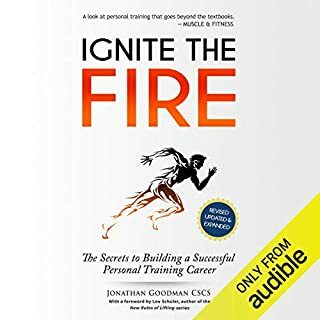 Now in a revised, expanded, and upgraded edition, Ignite the Fire is the highly practical approach to personal training already relied on by thousands of trainers worldwide. Repeatedly called one of the "best books for personal trainers", it provides a clear road map teaching you how to become a personal trainer, to getting a personal trainer certification, to building your career from the bottom up so you can build a clientele, your reputation, and income. My first ever book review. Most fitness professionals love helping people change their lives, but many struggle to gain new clients, and build a profitable business. They end up drained instead of energized, worried instead of free, tied down instead of creating their own schedule! Following these six simple steps of I Hate Selling for the Fitness Professional, will empower you to build your business, and keep it growing, all while maintaining your love of serving your clients and members. This audiobook will free you from the ups and downs of the fitness world, and help you reach more people than ever before. If Chris Cooper has a superpower, it's the ability to make mistakes faster than anyone else. Fortunately, none have been fatal, and they can help other gym owners build happier lives. Chris brings a "big picture" perspective unmatched by anyone else in the industry. 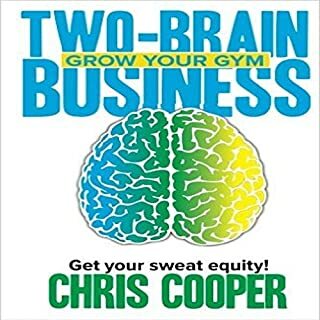 After thousands of hours spent one-on-one with gym owners, hundreds of blog posts, and more interviews than he can recall, Chris shares his best lessons in the second edition of Two-Brain Business. great advice. beginning to end. The struggle to build a personal training business is real. Many mistakes are made that cost training businesses and personal trainers a lot of money. Don't make the same mistakes. 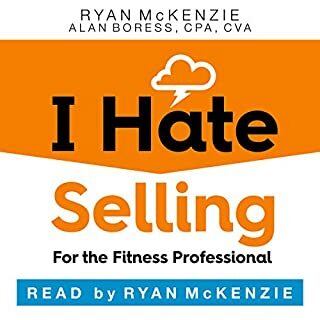 This audiobook will show you 35 common mistakes personal trainers and personal training businesses make so you can bypass the pitfalls you may encounter during your growth. 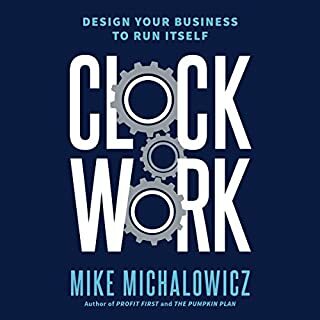 If you're looking to build your own personal training business or are trying to increase your current client list and revenue, this audiobook is a must have. Are you thinking about starting a career in the health and fitness industry? Would you like to learn the best steps to becoming a successful fitness professional? Isn't it frustrating to get a college degree or personal training certification only to find you weren't given practical advice on how to run your fitness business? Then The Consummate Fitness Professional is simply the only manual or guide you need. A good guide for a future Personal trainer. NLP and psychological techniques for Personal Trainers who want to attract their ideal clients and earn a much higher income without working longer hours. An absolute must read for all PT! The average gym's annual revenue in the US is less than $300,000 with earnings before taxes, interest, and depreciation is $78,086, and it's even less for smaller studios. From humble beginnings of just $150 to his name, to a multi-million dollar brand and franchise business, 4U Fitness, Daniel Nyiri has learned the ins and outs of what it takes to build a truly successful business. 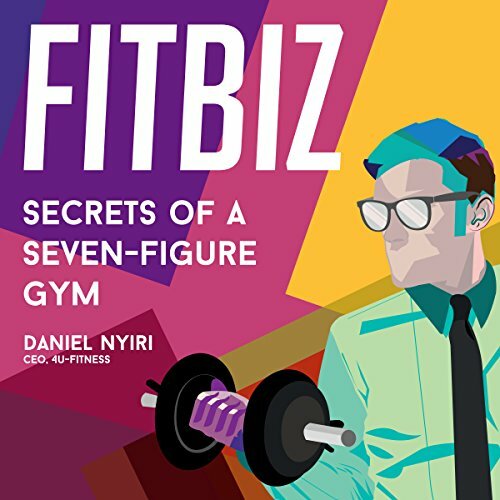 Would you listen to Fitbiz: Secrets of a Seven-Figure Gym again? Why? Yeah, just for the quotes alone i would! What was one of the most memorable moments of Fitbiz: Secrets of a Seven-Figure Gym? The Pitch! A complete break down on how and why you should develop your own personal and business pitch for clients, media, investors and more. Have you listened to any of Eric Morrison’s other performances before? How does this one compare? If you're in the fitness industry and are seeking to build your own brand or even start your own company, THIS is the book for you! It's easy to follow and Daniel gives amazing advice! There is also great general info for any up and coming entrepreneurs!!! Not just for the aspiring gym owner! Great read and very informative as well! Not only did I take something valuable from each chapter to grow my business and help execute my goals, but it also gave me good confirmation and insight to things I'm already doing that are in the right direction. I loved the recommendations Daniel gave for other reads and I already started on that list as well. I find it exceptional and unique, the system/idea he created with the electro stimulator for the muscles. I live when people create and use something that will benefit the lives of others. I always love seeing people create and run amazing businesses and follow there passions and I find what he did exceptional and a brilliant idea. It's exciting to see new programs and ideas created. I can't wait to be back in Florida and check out fit4u. Keep up the great work! Thanks again, for creating.